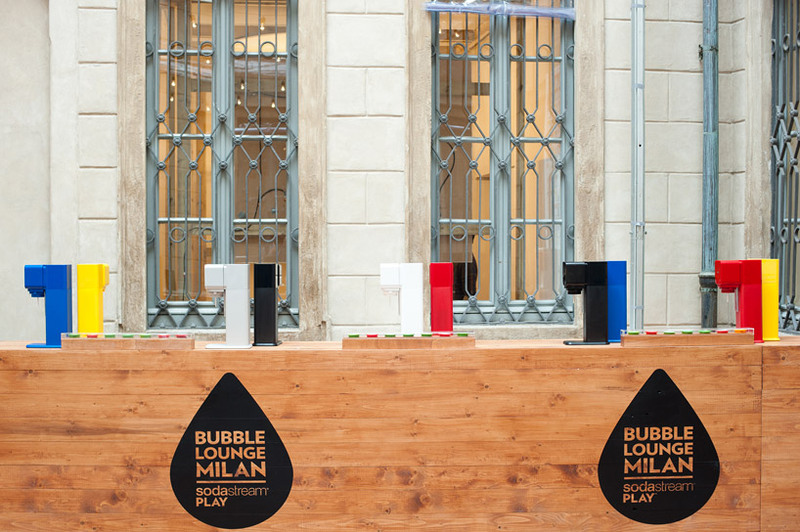 as part of milan design week 2014, swiss-born designer yves béhar presents the ‘bubble lounge’, an interactive installation showcasing the latest piece in the sodastream collection – his ‘sodastream play’. 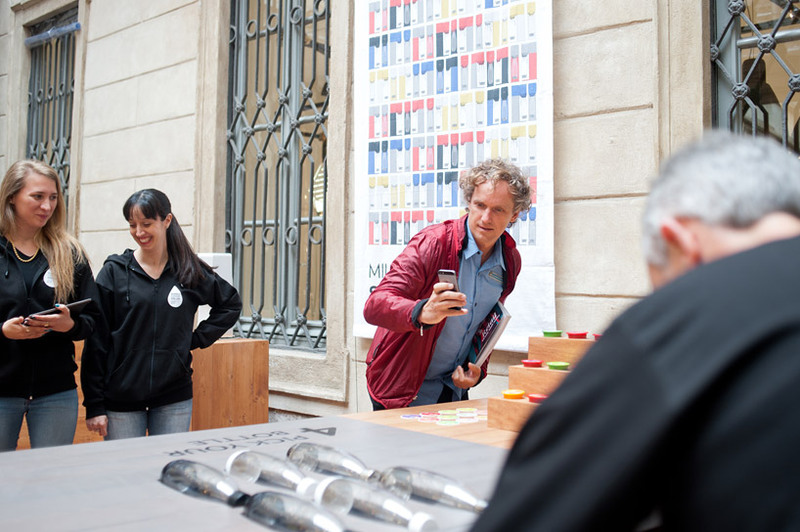 the event – presented at EDIT by design junction – also served as a venue for consumers to customize their own personal product to suit their individual preferences using an integrated app. 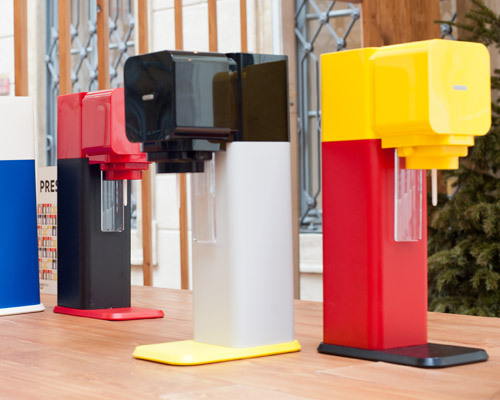 the app, available later this year, provides a choice of six interchangeable colors across the product’s three core components: the carbonating block, the hollow support stand and the base. 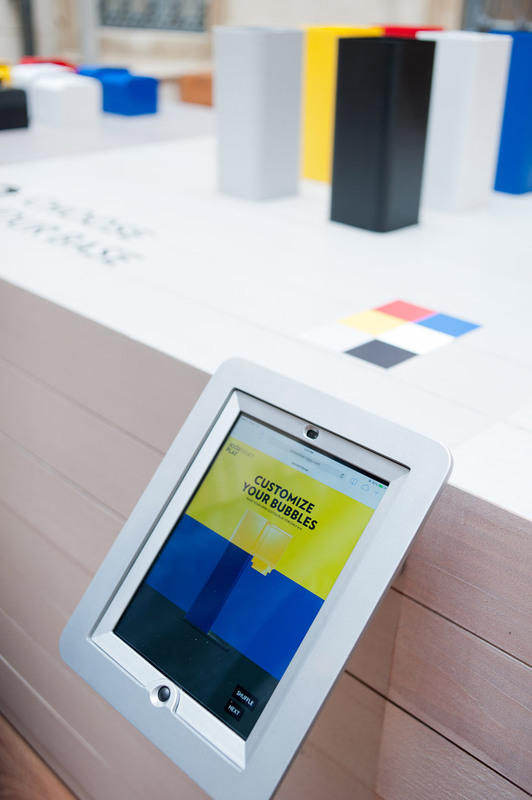 designed to engage and involve guests, the bubble lounge demonstrates comprises a functioning production line offering visitors the opportunity to browse and select different colors to create their own machine. a long monolithic table displays the product’s components, presented as an assembly line and also functions as a place for visitors to congregate and unwind. caps each containing a different liquid flavor are presented within the installation as a bright display of color. 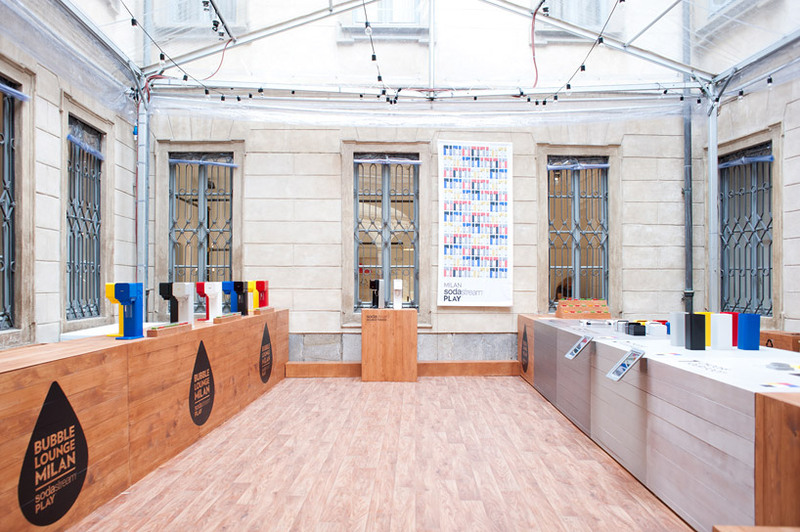 exhibited against the backdrop of a bar serving sodastream drinks throughout the week, guests are invited to make and mix their own distinct beverages. powered by a co2 canister, the refined mechanics of the machine allow the carbonating bottle to lock into place with a single-push motion. 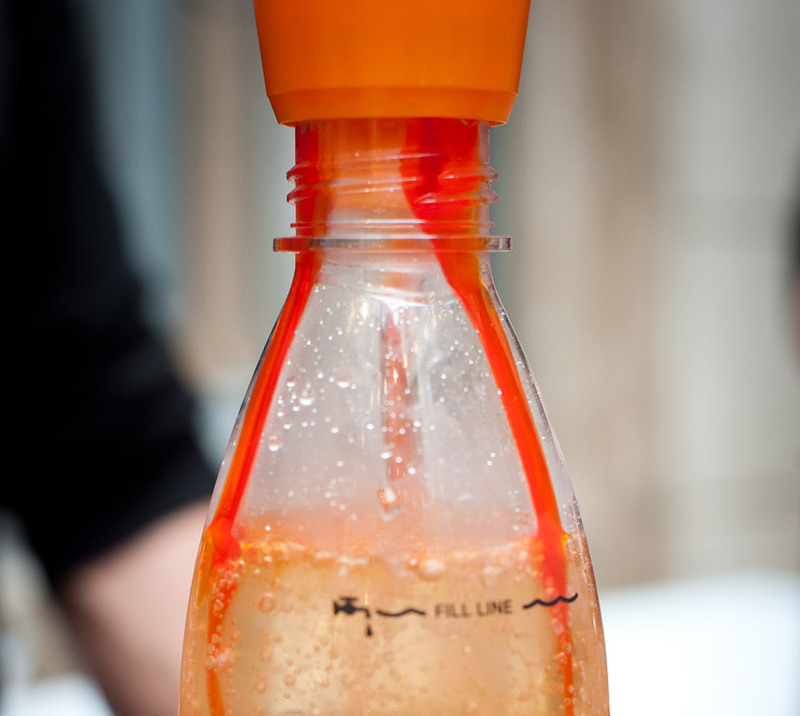 a slider column automatically returns the bottle to its original position after being pressed, simplifying the process of carbonation. 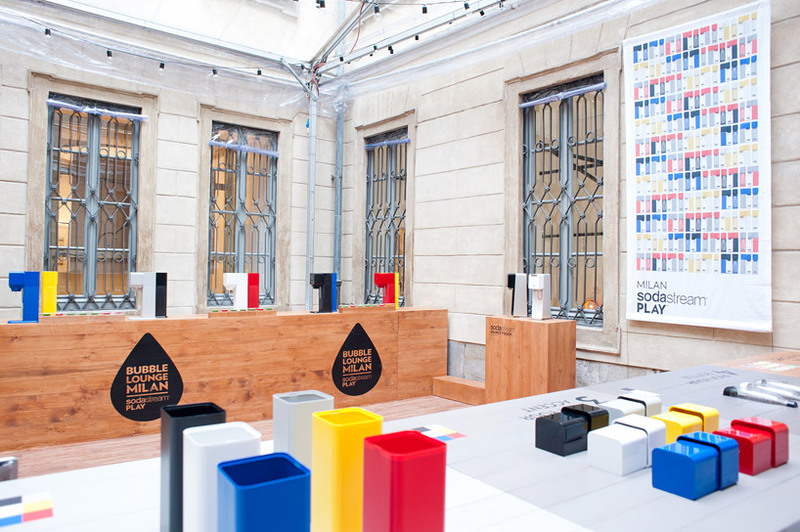 the matte texture and contrasting colors of the column and extruding base add playfulness to the device. ‘we are seeing a new generation of consumers that want complete customization – including their home appliances. 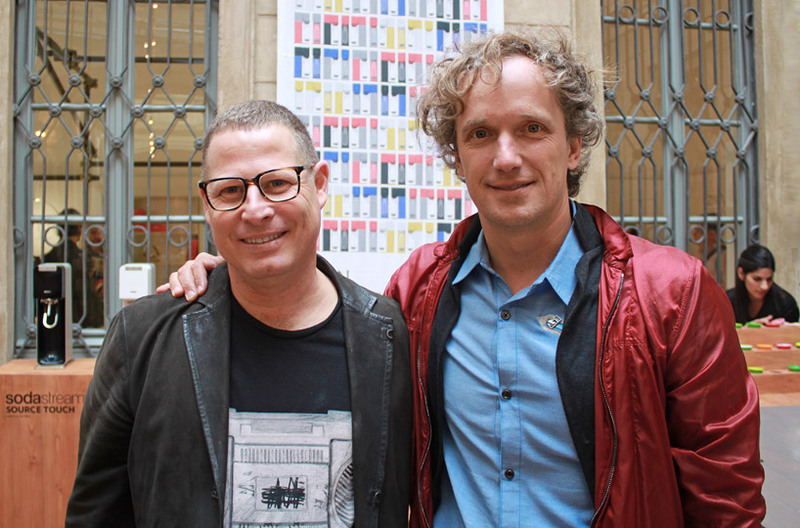 this is the first app of its kind which we believe will pave the way for customization within in-home design’, explained yaron kopel, chief innovation and design officer at sodastream. 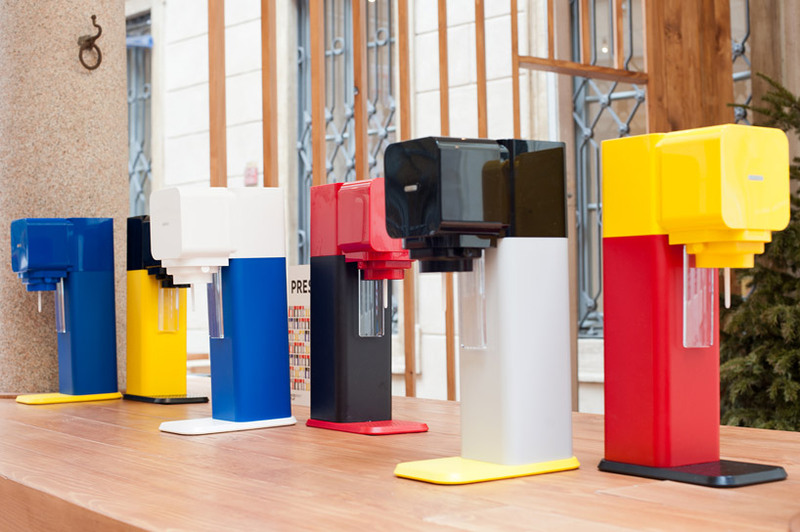 ‘I wanted to create a ‘do it yourself’ environment by extending people’s experience of mixing their own drinks to building their own machines. it’s a simple idea that awakens the ‘maker’ in all of us, whilst making the right consumer choice environmentally and having fun in doing so,’ said designer yves béhar. 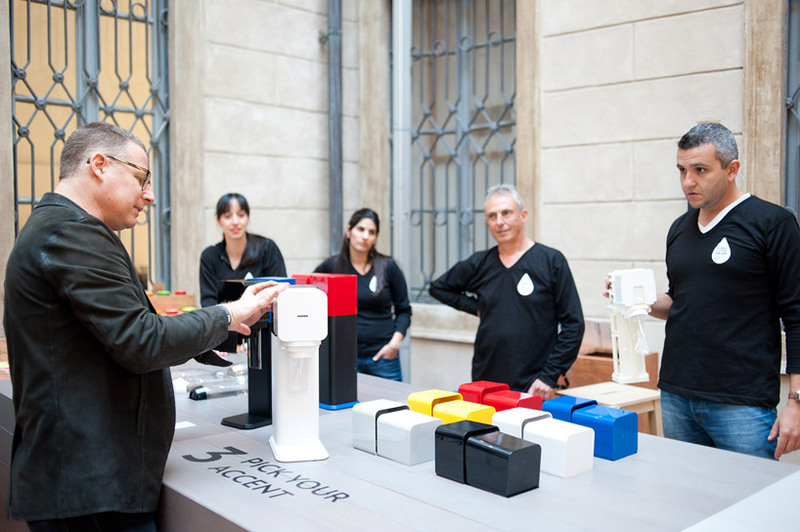 see designboom‘s previous coverage of the ‘sodastream play’ here. 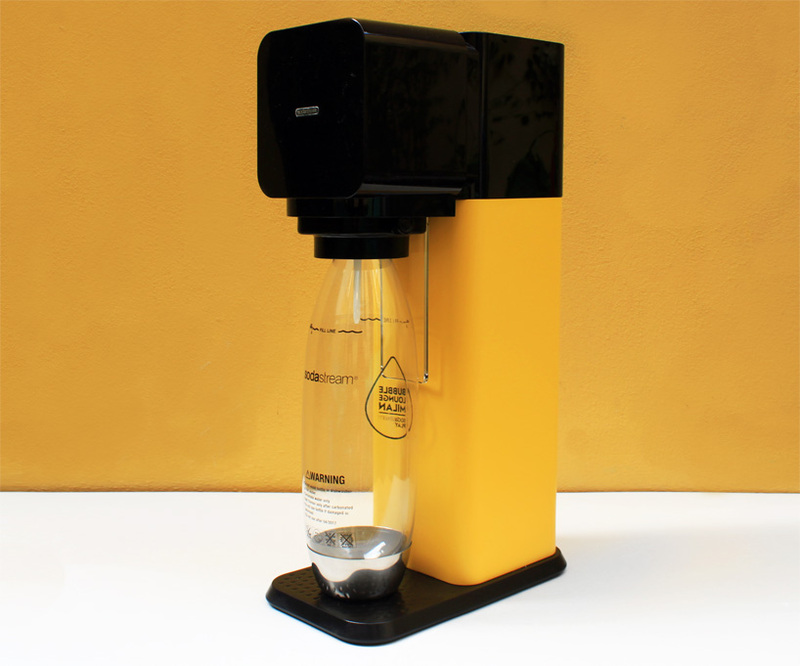 designboom’s customized sodastream play in our signature black and yellow colors!